This branch is currently being re-established. If you are interested in participating contact the office. The Federal Government’s approval of the acquisition of a further 58 F-35 Joint Strike Fighter aircraft is great news for the G21 region. Prime Minister Tony Abbott and the Minister for Defence, Senator David Johnston, today (23 April 2014) announced the $12.4 billion acquisition. The Australian defence industry has been awarded over $355 million in work and stands to win well in excess of $1.5 billion in JSF-related production and support work over the life of the programme. This will create long-term jobs in advanced manufacturing and engineering. Marand, which has a strong presence in Geelong, is playing an important role in this project, manufacturing high-tech trailers and parts of the vertical tails for the aircraft. 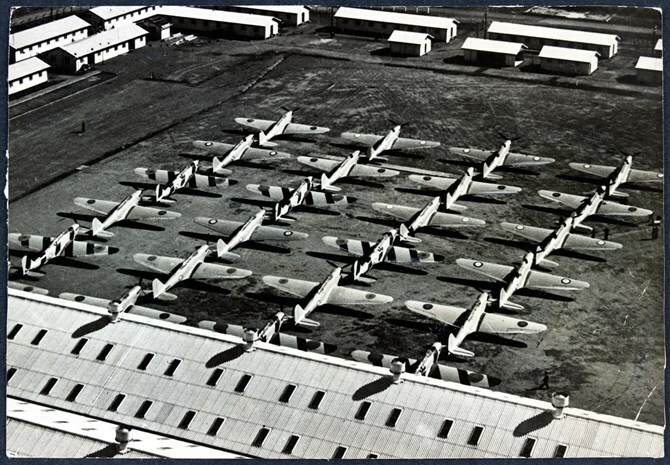 Two thirds of the newly opened International Harvester was commandeered by the RAAF. and an ad hoc airfield was established. The US Air Force arrived shortly thereafter. The presence of American servicemen has left an enduring impression on the North Shore community. Their arrival was the cause of much local excitement, particularly among the children who made a pretty penny running errands for them. They were also a hit with the ladies, who enjoyed a social dance at the local community hall. The story of the American presence in North Shore remains largely untold, and the reflections of local residents provide a fantastically rare insight into a unique period in Victorian history.